Gordon H. “Stumpy” Harris is a Florida eminent domain and civil trial lawyer. He has been practicing law in Florida since 1966. His strength lies in his ability to his clients through the litigation and eminent domain processes. Stumpy has been widely recognized for his ardent support of the University of Florida. He serves, or has served, in leadership capacities in numerous advisory boards that serve the University and its Athletic Program. He has been generous with his time and money. He is a member of the Florida Blue Key, Hall of Fame, a former President and Life Member of the University of Florida National Alumni Association, a Legacy Director of Gator Boosters, a former President and Life Member of Gator Boosters and a Member of the Real Estate Advisory Board of the Center for Real Estate Studies for the UF Warrington College of Business. Stumpy is a supporter of the Shriners Children’s Hospital and an active Shriner. He is a past Potentate of the Bahia Shrine Temple in Orlando and a former president of the Florida Shrine Association. He is a member of the Board of Governors of the Tampa Shriners Hospital. 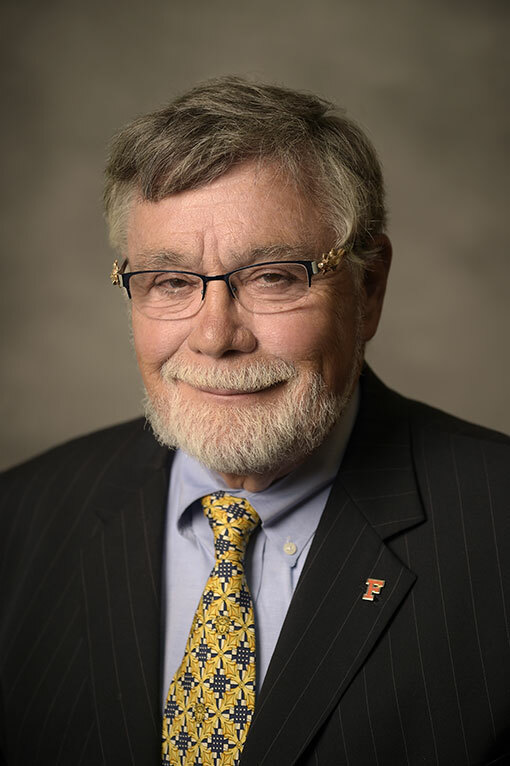 He is the past Chairman of the Board of Trinity Preparatory School and has served on the Board of Visitors of Lake Highland Preparatory School. He has been the Senior Warden at St. Michael’s Episcopal Church. Stumpy was born May 7, 1938, and was reared in Jacksonville, Florida. He graduated from Robert E. Lee High School in Jacksonville and went on to the University of Florida where he earned a degree in Math in 1961. After teaching at Robert E. Lee for two years, Stumpy entered the University of Florida College of Law in 1963 and graduated third in his class in 1965. He taught at Florida’s Law School before joining the predecessor firm of Holland & Knight in Bartow in 1966. In 1970, Stumpy became a founding partner of the Orlando law firm of Gray, Harris & Robinson (now GrayRobinson). In 2003, Stumpy founded Harris Harris Bauerle Ziegler Lopez to practice with his son in the field of eminent domain and civil trial law. Stumpy is an AV-rated trial attorney with extensive experience in a broad spectrum of property rights issues. He has handled hundreds of eminent domain parcels, ranging in value from a few hundred dollars to more than $60 million.